The Secret Daily Teachings by Rhonda Byrne are a compilation of 365 days of inspiration and enlightenment. The 30 teachings listed here highlight how the Law of Attraction works to bring greater magnificence, joy and abundance into our hearts - spreading richly and readily into our daily lives. These teachings were published in 2008. To learn more about these teachings, click here. 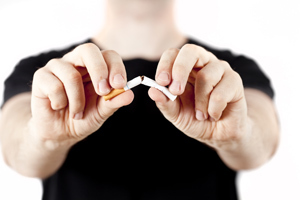 Click on the book to read a preview of The Secret Daily Teachings. There are many more words to be discovered in this beautifully bound book as well as ways for you to express your gratitude. To change your life fast, use gratitude to shift your energy. When you put all of your energy into gratitude, you will see miracles take place in your life. To change things quickly, commit to writing 100 things you are grateful for each day, until you see the change. And FEEL the gratitude. Your power is in the FEELING that you put into the words of gratitude. It is the same feeling as when you float on water. If you are tense, or if you resist the water, you will sink. If you surrender to the water, the water will support you and you will float. That is the feeling, and that is how you harmonize yourself with the Universe. Be sure that you always give fair exchange in business and in your personal life. In business, always give more value than the money you receive. In your personal life, always give back what you have received. If you have received support from others at a time when you needed it, and then someone asks for your support, be sure to give back the support you have received. All support comes to you through the Universe, and so when you give support back you are giving back to the Universe. Your life is in your hands, but you must learn to gain control of your thoughts. All of your problems of fear, failure, and doubts are because your MIND is ruling you. Your mind has taken over and you are the slave and victim of your uncontrolled negative thoughts. It is as simple as that. Take control of your mind and your thoughts. Every day, bit by bit, watch your thoughts. When a negative thought comes, stamp it out, and refuse to allow a negative thought to take root in you by thinking of something good instead. Think more and more and more good thoughts, and soon they will come automatically. Always remember that your feelings are monitoring your thoughts for you. Your feelings are telling you whether you are thinking thoughts that are good for you or thoughts that are not good for you. If you can become more and more conscious of how you are feeling, then you will become more and more aware of what kind of thoughts you are thinking. Your feelings are unceasingly telegraphing messages to you. Listen to your own being! When people first start using The Secret, they may get a little scared of thinking negative thoughts. Because of that fear, when they think a good thought, immediately the opposite thought may come into their mind. This is not unusual. However, I want you to know that this phase passes very, very quickly. And the easiest way for it to pass is to pay no attention whatsoever to the negative thoughts. Just ignore them and then think a good thought. When a negative thought comes, just shrug it off as if you don't care about it one bit, and think a good thought to replace it. You are an electromagnetic being emitting a frequency. Only those things that are on the same frequency as the one you are emitting can come into your experience. Every single person, event, and circumstance in your day is telling you what frequency you are on. If you day is not going well, stop and deliberately change your frequency. If you day is going swimmingly, keep doing what you are doing. Become increasingly aware of all the magnificent things in your life. Feel gratitude toward all the people who have given so much through their work and inventions so that you can have a much easier life. Did you take a shower this morning? Did you use electricity? How did you get to work? By car, train, bus, or did you walk in your shoes? 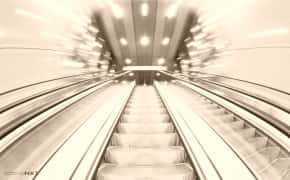 Did you pick up coffee or listen to the radio or make a call on your cell phone or taken an elevator? You use so many inventions every day of your life. Are you taking them for granted or are you being grateful for them? We are so blessed - really we are. "We speak learnedly of the Law of Gravitation but ignore that equally wonderful manifestation, the law of attraction in the thought world. We are familiar with that wonderful manifestation of Law which draws and holds together the atoms of which matter is composed - we recognize the power of the law that attracts bodies to the earth, that holds the circling worlds in their places, but we close our eyes to the mighty law that draws to us the things we desire or fear, that makes or mars our lives." Know yourself! Watch how you manifest the small things in life and think about how you felt inside with those things. Think about how easily they came. You will find that you thought of a small thing once and never thought about it again, and then it manifested. What really happened was that you didn't think any thoughts or speak any words which contradicted what you wanted, so the law of attraction was able to do its work. The law of attraction has never failed anyone, and so it will not fail you. the law does not fail. When things are not appearing as wanted, it is always because the person is not using the law correctly. The law is infallible, and so when you work in perfect harmony with the law, you will experience the results! Three is great power in your words, because they are thoughts that you have given additional energy to. Be aware of what you are saying. Watch your words. It is a spectacular moment when you catch your unwanted words midstream, because it means you are becoming more conscious and aware. Yes! When you go to pay your bills, use your imagination, and make up any game you like. Imagine your bills are checks, or imagine that you are giving the money as a gift when you pay them. Add zeros to your bank statement, or put the Bank of the Universe check from the Secret website on your bathroom mirror, on your fridge, at the bottom of your television screen, on your oven, on the visor in your car, on your desk, or on your computer. Play, pretend, and make up games that will infiltrate your subconscious with the feeling of abundance. Your body is exactly like a movie projector, and the film running through the projector is all of your thoughts and feelings. Everything you see on the screen of your life is what has been projected from within you, and is what you have put into the film. By choosing higher thoughts and feelings you can change what you see on the screen at any time. You have complete control of what goes into your film! If you ask for something but really deep down don't believe that it can be manifested immediately because it is so big, then you are the one who is bringing time into your creation. You are creating the time it will take, based on your perception of the size of the thing you have asked for. But there is no size or time in the Universe. Everything exists now in the mind of the Universe! 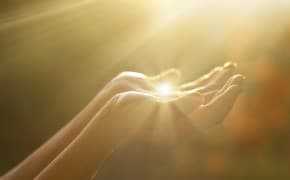 To harness the power of well-being using visualization, imagine with every breath you take that you are breathing in pure, white, illuminating energy. Imagine your body filling with this beautiful, pure, illuminating energy, and see this energy lighting up every cell in your body until the entire inside and outside of your body is glowing and radiating like a brilliant star. There is nothing more important than this, because your whole future life relies on you. 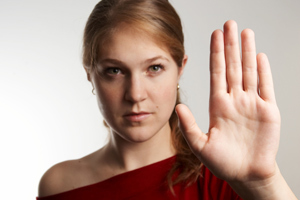 If somebody says something negative to you, do not react. You have to get yourself to a point where you can stay calm and peaceful inside no matter what negative things happen on the outside. When you can maintain peace and joy within you despite any situation on the outside, you have become the master of everything. You are in a partnership with the law of attraction, and it is through your partnership that you are creating your life. 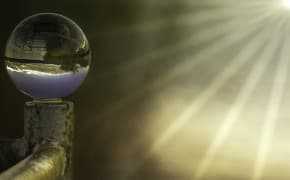 Every other person is in a partnership with the law of attraction as well, and they are creating their own lives. That means you cannot use the law against another person's free will. If you attempt it, you run a real risk of attracting your own freedom being taken from you. We are evolving human beings, and as we grow our frequency changes. A relationship ending between two people is the result of the two people no longer being on the same frequency. When frequencies of people no longer match, the law of attraction automatically responds by moving them apart. Frequency change is growth, growth is life, and life is good. Decide that you are going to verbally express at least one thing of appreciation to every person you come in contact with today. The more people you see the better. Take notice of how you are feeling at the start of the day, and then take particular notice of how great you are feeling when the day has ended. Name one day of the week as your appreciation day, and do this exact process on that day each week, without fail. And then watch what happens to your life. You are in the perfect place on the perfect journey. You are right where you are meant to be, because you chose it. In fact, you could not be more perfect than you are now. 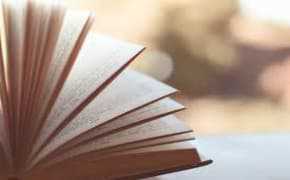 To see some of the book titles that inspired The Secret Daily Teachings click here. You will find many of these books available for free here. You may also enjoy The Power Book, The Hero Book and The Secret Quotes. Click here for affirmations by Louise Hay. Click here for affirmations by Florence Scovel Shinn. Click here for affirmations by Catherine Ponder. Click here for here for Daily Positive Affirmations. Click here for Inspirational Life Quotes. 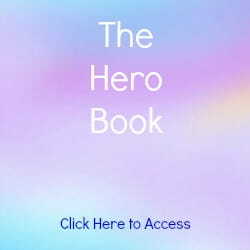 Click here to access information on The Hero Book. 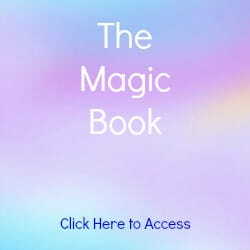 Click here to access information on The Magic Book. Click here to access information on The Power Book. Click here to access information on The Secret Book. 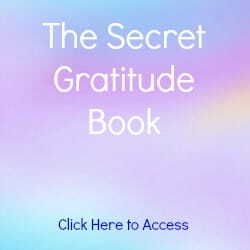 Click here to access information on The Secret Gratitude Book. Click here for The Secret Quotes.